I once again have to apologise. Andrea Drongoski, Brian Winters, I am sorry. I received the EP for your band Folie Adieu about two months ago - the first such release I got since moving back to Australia - and because I was still moving in and such it has filtered down into the depths that is my musical listening pile. Well, today I make amends! This self-titled EP by the Wichita duo contains four slices of languid shoegaze pop, as ambient as it is awash with sonic sheen. The influences of the likes of Spacemen 3 and Slowdive, even Jefferson Airplane. Its beautiful in its simplicity, and washes over you in such a fashion that its criminal that there are only four tracks on offer here. I certainly hope we hear more in the future - and I promise to be more punctual with my replies! 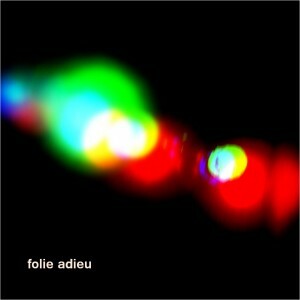 folie adieu is out now and can be bought here.